Our Shaykh, the scholar, the most learned, the jurist, knowledgeable hadith specialist, the remainder of the predecessors (salaf) and example for those who came after (khalaf) the Musnid of the Maghrib. He was born in Madinah al-Munawwarah on the 12th of Rabi al-Awwal in the year 1332 Hijri. He was raised under the care of his father and grandfather. He moved in the year 1338 Hijri to Syria along with his father and grandfather. In the year 1345 they moved once again, this time to Fes, the same year in which his grandfather passed away. Shaykh Muntasir then travelled to Egypt in the year 1352 Hijri to study at al-Azhar, after finishing returning back to Fes. Due to restrictions imposed by the colonialists in Morrocco he travelled to Damascus, then the Hijaz and took up residence in the Haramain moving between Makkah and Madinah whilst teaching in both places. This continued to be his place of residence until the year 1409 Hijri when after an illness he returned back to Morrocco. Shaykh Muntasir narrated from a number of the notable scholars of his age. 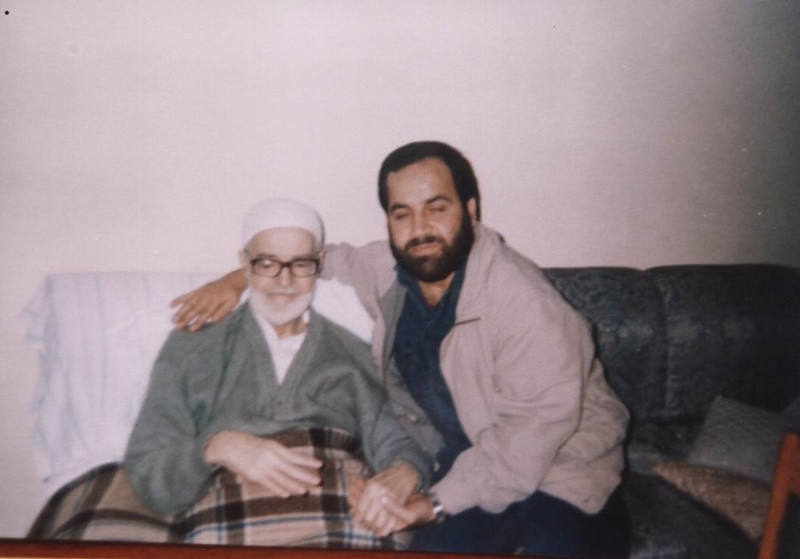 From the al-Kattani family they were: His grandfather Shaykh al-Islam Muhammad bin Jafar al-Kattani, his father Imam al-Muhaddith Muhammad al-Zamzami al-Kattani, his uncle Allamah Muhammad Makki al-Kattani, Shaykh Muhammad Tair bin al-Hasan al-Kattani, Shaykh Abd al-Salam bin Abi Bakr al-Kattani, Shaykh Muhammad al-Mahdi bin Muhammad Ibn Abd al-Kabir al-Kattani, Shaykh Muhammad al-Baqir Ibn Muhammad bin Abd al-Kabir al-Kattani and Shaykh Abu Abd al-Ahad al-Kattani. From the other scholars of Morrocco: Shaykh Muhammad bin al-Siddiq al-humari, his son Imam al-Hafidh Ahmad al-Ghumari, Shaykh Ahmad al-Rahuni, Shaykh Abul Qasim Muhammad Tahir bin Masud al-Dabbagh, Imam al-Hfidh Abu Shuayb bin Abd al-Rahman al-Dakkali, Shaykh Muhammad al-Madani bin Muhammad al-Ghazi bin al-Husni. From the scholars of Egypt: The Musnid of Egypt, Allamah Ahmad bin Muhammad bin Abd al-Aziz bin Rafi al-Tahtawi al-Hussaini, Shaykh Muhammad Bukhit al-Mutei al-Hanafi, the Mufti of Egypt. 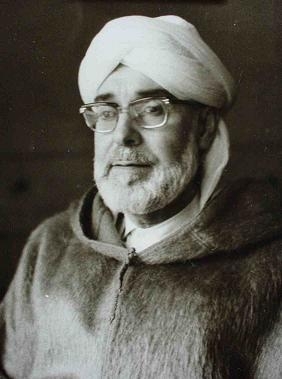 Imam Zahid bin al-Hasan al-Kawthari. From the Makkan Scholars: The Musnid of his age Muhammad Yasin bin Muhammad Isa al-Fadani al-Makki and others. In Tafsir: ‘Tafsir al-Quran al-Karim’: In four volumes, he reached in it halfway to Surah al-Isra. The rest of it remains recorded on auio tapes which took place in his lessons in the Makkan Haram. In the science of Hadith: ‘Takhrij Musnad Imam al-Qudai’: In two volumes, he completed in it the referencing of his grandfather Shaykh Muhammad bin Jafar. ‘Sharh Takhrij Musnad Imam Ahmad’: He completed 19 volumes of it. ‘Al-Muaqqab fi Rijal al-Hadith’: A wok related to Hafidh Ibn Hajar’s ‘Tahdhib al-Tahdhib’, it is in one volume. ‘Al-Mustadrak fi al-Hadith al-Mutawatir’: A work related to ‘Nazm al-Mutanathir’ of his grandfather, it is in one volume. ‘Takhrij Ahadith Tuhfa al-Fuqaha’ of al-Samarqandi: He worked on this with Shaykh Wahba al-Zuhayli, and it is published. In History: ‘Tarikh Fas wal-Qarawiyyin’ in 1 volume, and it is published. ‘Nubza min Tarikh Shinqit’ which is also published. ‘Imam Malik’ in 1 volume and it is published. The Shaykh passed away at the time of Zuhr on Tuesday, 8th of Safar in the year 1419. His funeral prayer was offered on Wednesday at the time of Asr at the Masjid Badr in Rabat. He was buried in the graveyard of the martyrs (al-Shuhada) may Allah have mercy on him, with his passing away the chain of transmission for hadith descended a further level lower. From the bottom of my heart,i was really amazed when i read this page.i will pray for the late Allahyarhum Shaykh Muhammad Muntasir al-Kattani . wallah this is great work and marvelous achievement.i was searching for this book of baqi bin mukhled but no traces were availble.when i read this today after a search i was for a moment out of joy.many many selath and dua for this sheikh.i will ask his son to contact me,please.